Sharing in the content of what each orders SKU details listing of movements are in a modern approach. 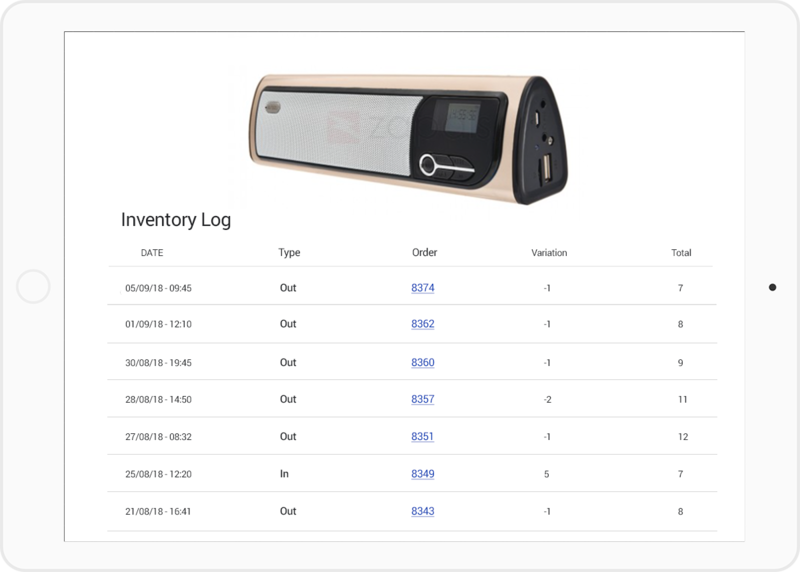 Each time an order is process your SKUs Inventory count is quickly and easily updated in a beautiful readable experience. See your stock of goods quickly, and easily from anywhere.